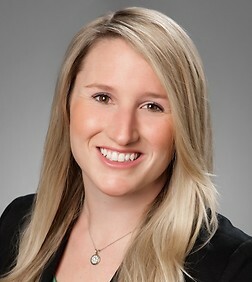 Sarah Blitz is an associate in the Business Trial Practice Group in the firm's Los Angeles office. She is also a member of the firm’s Food and Beverage and Video Game industry teams. Sarah specializes in commercial and business litigation. Her practice entails matters in state and federal court, including business torts, class action defense, products liability, breach of contract, breach of fiduciary duties and allegations of unfair business practice and fraud. Sarah is experienced in all aspects of California and federal civil procedure, including filing and responding to complaints, conducting discovery, motion practice, alternative dispute resolution proceedings, judgment enforcement and appellate practice. Outside the firm, Sarah is on the Advisory Council for the City Scholars Foundation, an organization that trains non-profit executives to lead effective and sustainable organizations which help low-income youth stay in school. Sarah is also active with the Anti-Defamation League and a participant in the Glass Leadership Institute. Obscenity on the Internet: Nationalizing the Standard to Protect Individual Rights, 38 Hastings Const. L.Q. 233 (2010).